This production opened on May 2, 2014 and closed on May 11, 2014. 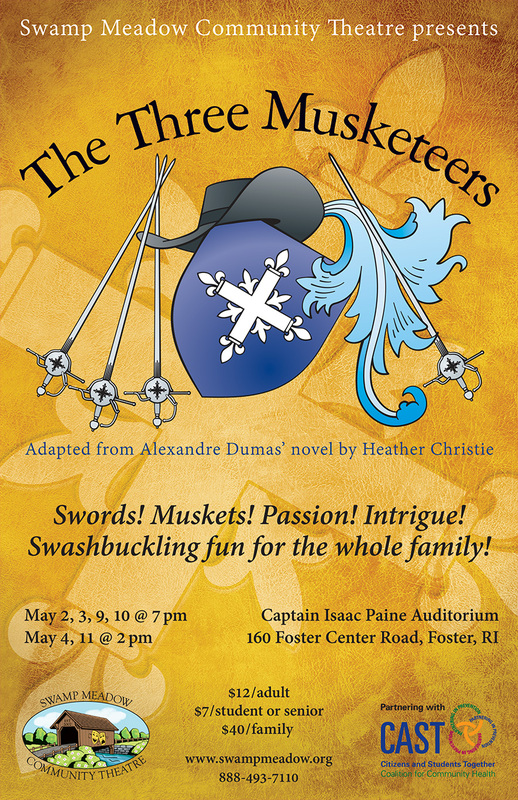 Sent largely in Paris in the year 1625, young D’Artagnan sets out to join the King’s Musketeers, an elite guard manned only by the very best. Befriending Musketeers Athos, Porthos, and Aramis, the four companions seek to uphold the honor of King Louis XIII by foiling the plots of the Cardinal Richelieu and his spy, Milady. They succeed, but not before escaping harrowing situations and traveling across Europe at the behest of the Queen.